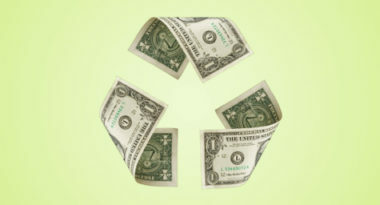 Barron’s reports that financial firms could gain by initiating green branding efforts. The report, “Green Marketing in Finance 2011,” included research from Mintel that showed 72 percent of respondents said they feel good about working with a financial services firm that invests in companies focused on eco-solutions. Conversely, almost 50 percent of respondents questioned whether a company that claims to be green is just trying to improve its image. The study indicated that more than two-thirds of respondents feel that promoting internal green initiatives is the best way for financial institutions to prove their sincerity regarding environmental responsibility. About half of respondents would like to see some personal economic benefit, such as financial firms offering eco-friendly products to new customers, while 45 percent want these firms to provide monetary incentives to businesses that develop environmentally friendly technologies and processes. Apparently, green advertising has the potential to help financial companies yield a better public perception, but only if used with the best intentions. Read the Barron’s article on green advertising.